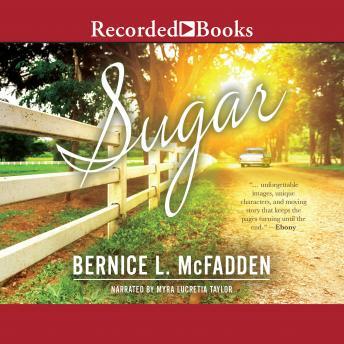 Blackboard best-seller Sugar is the superb first novel by Bernice L. McFadden. An emotional journey from grief and suffering to understanding and forgiveness, Sugar will keep you turning pages until its graceful conclusion. Sugar arrives in the small town of Bigelow, Arkansas like an ominous storm. She saunters down the street in a blonde wig and spiked heels, cigarette dangling between red-painted lips. Without even speaking to her, the women in town hate her. But when she moves in next door to Pearl, a woman who tragically lost her daughter 15 years earlier, the two women bond over tragic pasts. In this remarkably vivid novel read by gifted narrator Myra Lucretia Taylor, you can almost smell the blooming magnolias in this 1950s-era town.